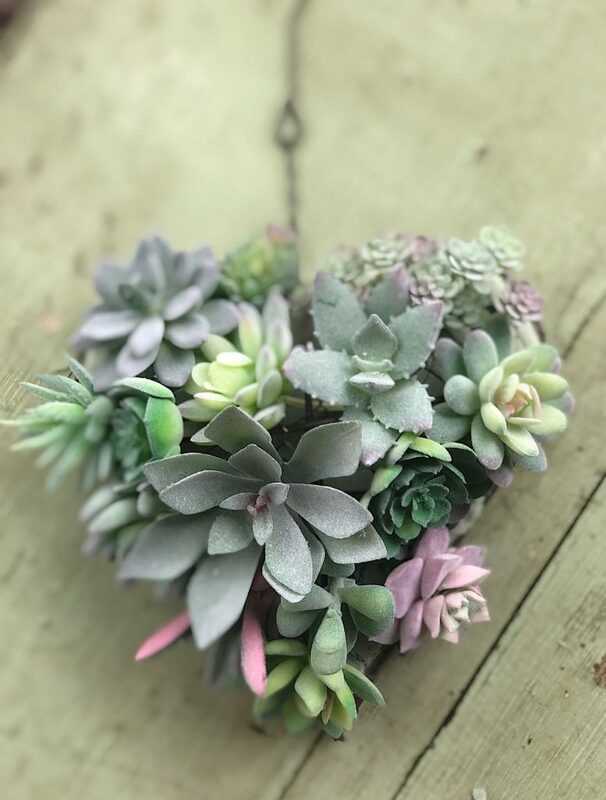 I am having so much fun making Valentine decor items and this heart shaped succulent wreath is my absolute favorite. It is very easy to make and took me less than an hour to complete. I had originally intended to make this wreath with real succulents. But it’s been raining for four straight days and I wasn’t too excited about shopping for succulents at my local nursery. I decided to use faux succulents and I love how it turned out. There is a good chance I will replant this wreath later on with real succulent plants. I can buy the small ones for $1 each at the flea market and I think the wreath could last for years. Last year I hosted an outdoor dinner party and used succulents on my tables. 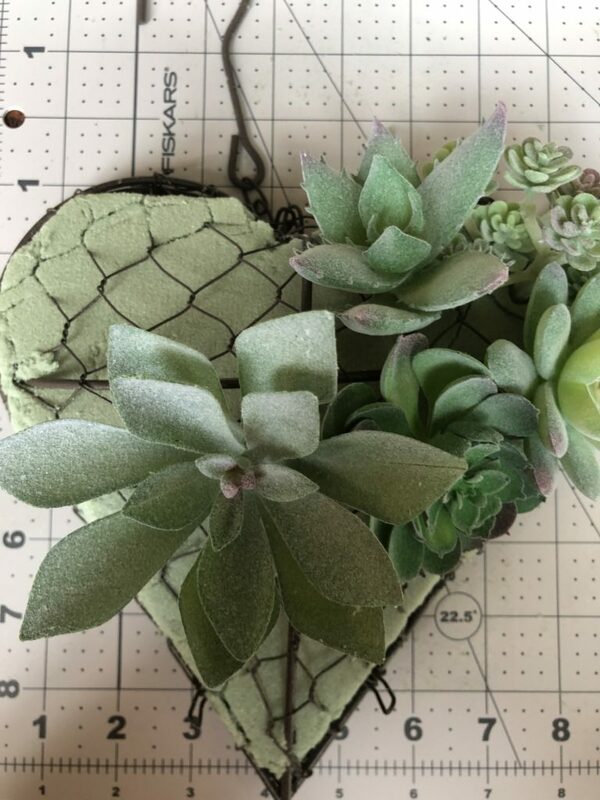 Follow the link to visit my succulent dinner decor blog post. 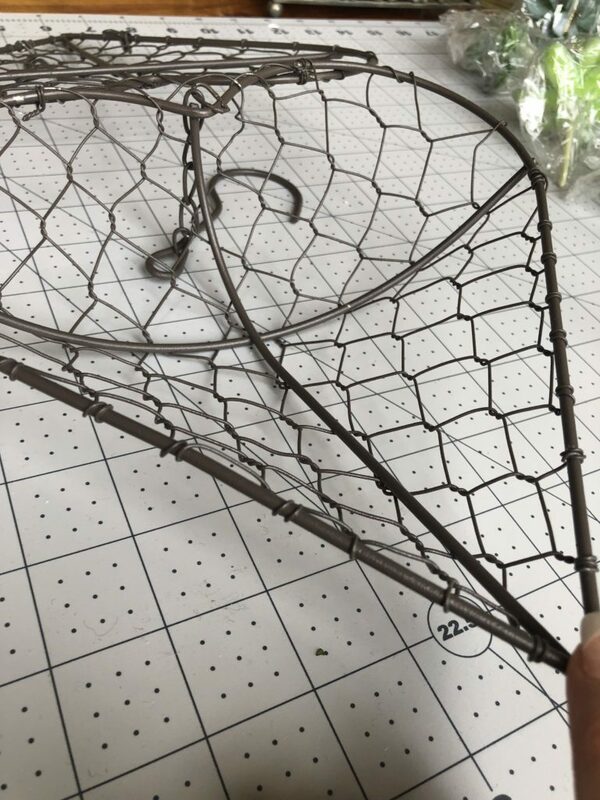 Hanging Wall Succulent Planters Metal Wire Wreath Frame – I found these on Amazon. They also have them on Etsy. Fresh Green Forest Moss – You only need this if you are using fresh succulents. Open up the metal wreath form. You need to put something inside the wreath to provide a surface to secure the succulents. 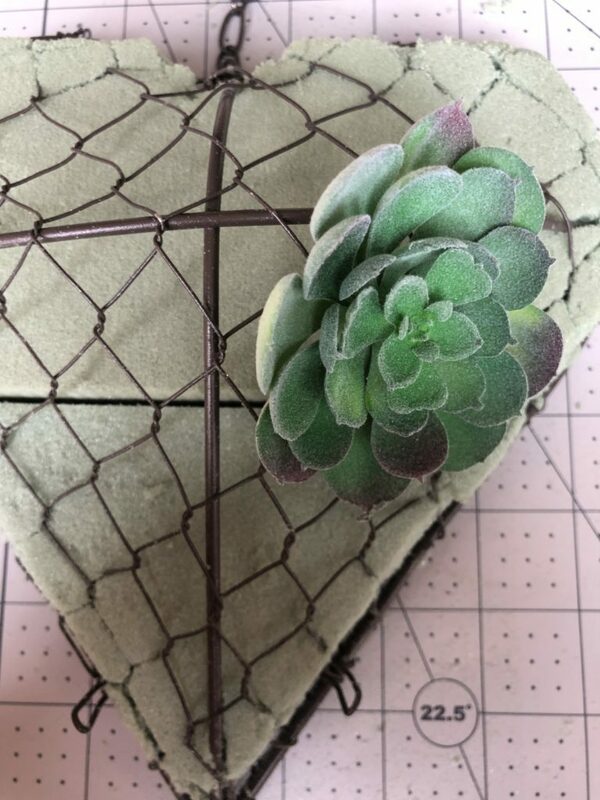 If you are using faux succulents, fill the frame with floral foam. 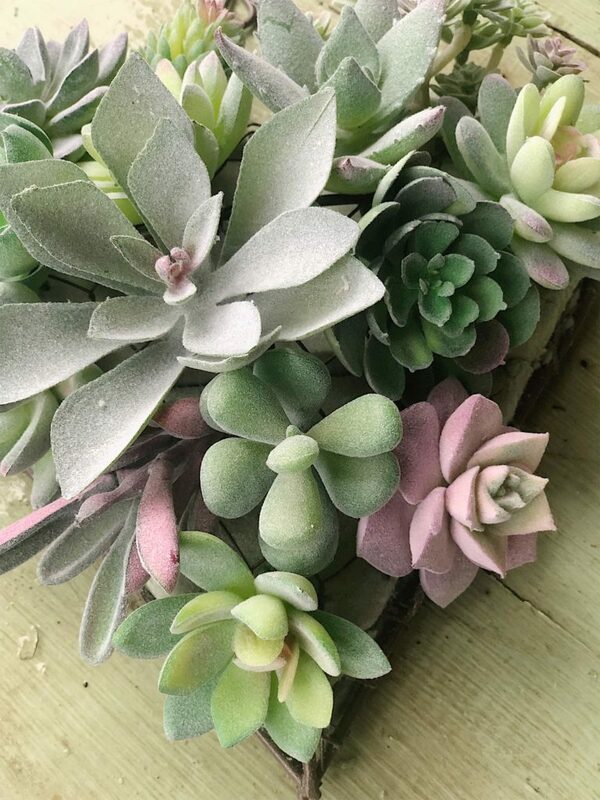 If you are using live succulents, line both sides with moss and fill the center with potting soil. Slice the foam to a thickness that will fit inside the wreath form. 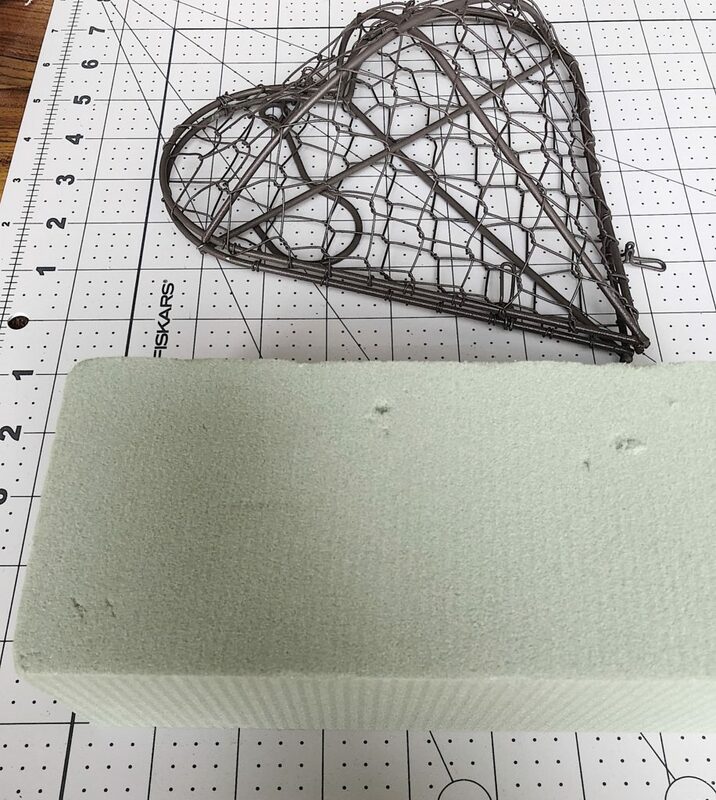 Press down on the foam to create a cutting guide. Keep measuring and cutting until the entire center is filled with foam. Secure the latches on the side. 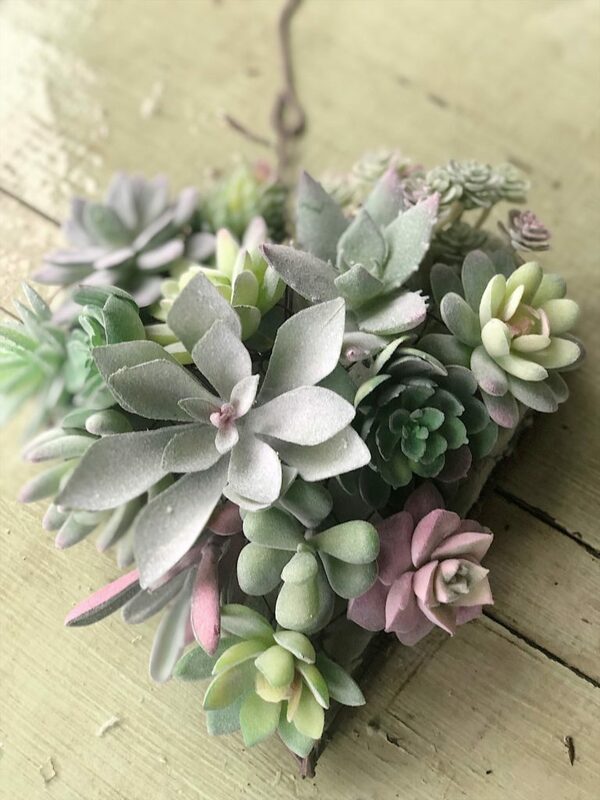 Gently insert the succulents, one at a time, into the wreath form. Try to cover all of the wire and floral foam. Continue filling in the wreath and arrange the succulents however you want. 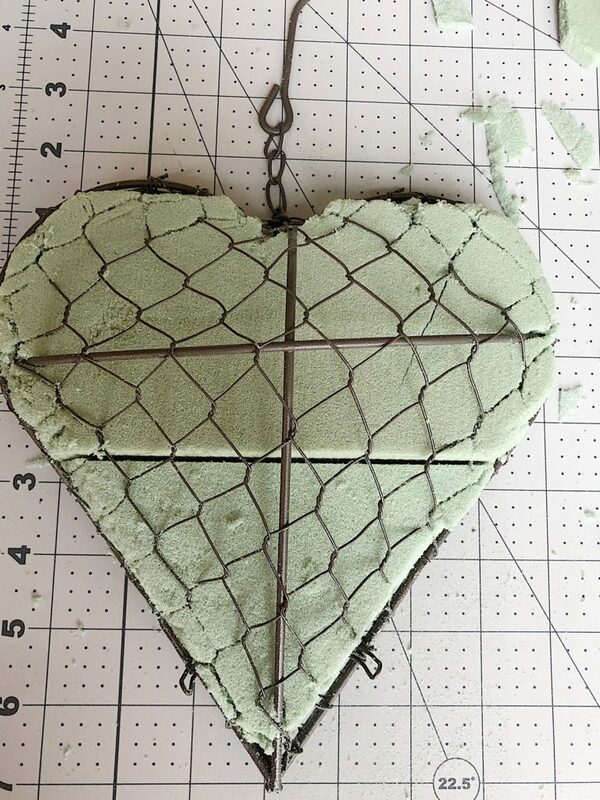 Just try to keep the shape of the heart so it is still identifiable. If you have some moss laying around, press it between the plants and all around the outside edge. This will finish off the wreath and hide any of the wire frame. This wreath form looks great lying flat on a table. It also looks great hanging on a wall. 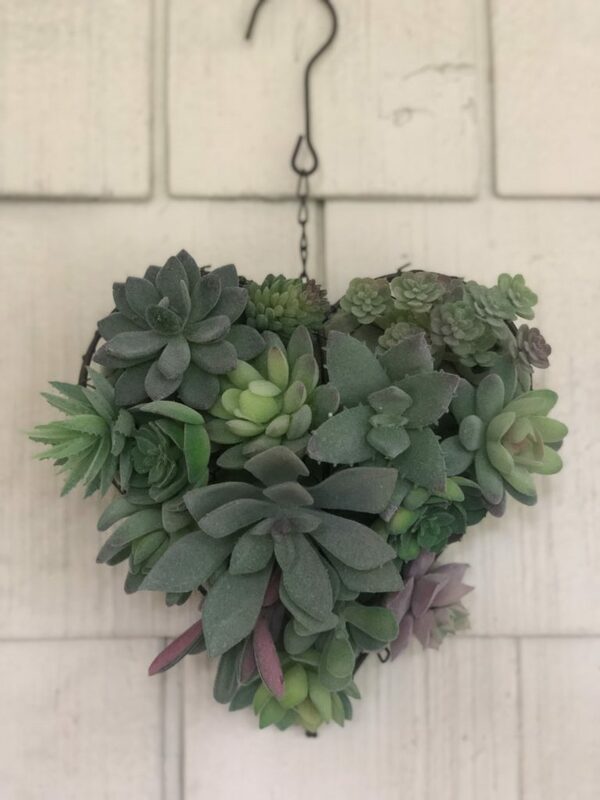 Remember that this heart shaped succulent wreath looks great year round. Although it is great for Valentine’s Day, this wreath provides great decor inside or out year round. 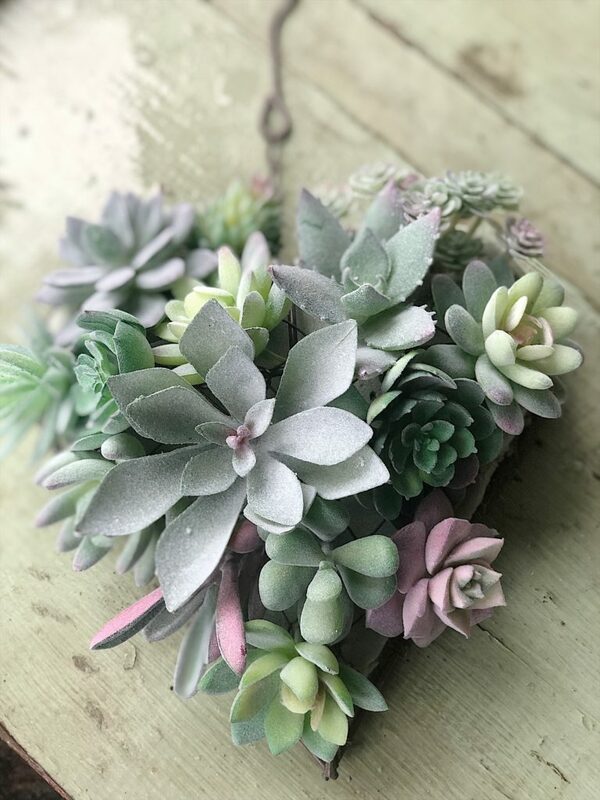 Last year I made a wooden box centerpiece filled with succulents. I think you will like that too! Beautiful – thanks so much for the instructions! I now feel brave enough to try one – so sweet! 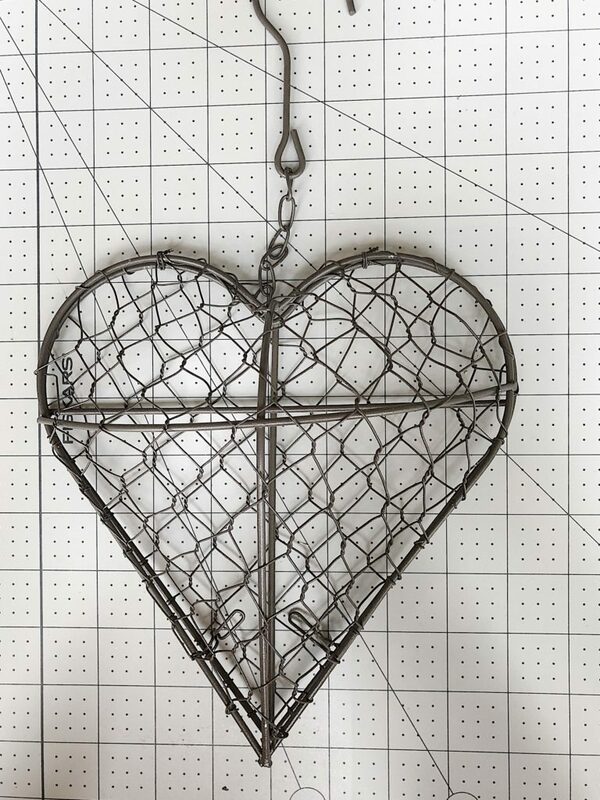 Hey Leslie-can’t find wire cage on Amazon.. no luck with Hobby Lobby.. anymore suggestions? It really is pretty!